A Canstar Blue survey of just over 2,400 New Zealand adults has found that a worrying 27 percent admit to living payday to payday – but only 11 percent have tried to save money on their standard financial products. “In our current low interest rate environment every extra dollar of interest we earn or every extra dollar that we don’t pay out in bank fees is a help,” said Canstar General Manager – New Zealand, Jose George. 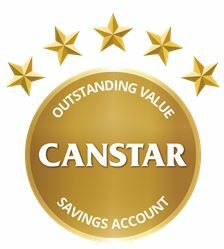 Currently on the canstar.co.nz database, interest rates on at-call online saver accounts range from 0.05% up to3.00%, and bonus saver account interest rates also range up to 3.00%. For the 27 percent of Kiwis living day to day and without significant savings, the fees charged on everyday banking accounts are a more likely source of potential savings – and if you’re paying fees on your savings account by using the account inappropriately, you should stop immediately! “It’s obvious from the above figures that everyday banking accounts charge lower fees for making transactions, while savings accounts will charge much higher fees to make the same transactions as a way of deterring you from withdrawing money,” said Mr George. “You should ensure that the account you’re using for transactions is indeed set up as an everyday banking account! An account that provides full online functionality, ATM access and EFTPOS. 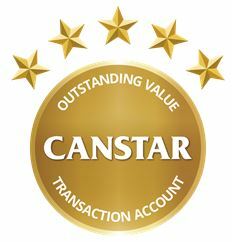 Canstar assumes that customers using this account type have no need for branch access. This type of account offers an at-call interest rate with no conditions attached. To be eligible the current base rate must be greater than 0.50% at $25,000. This type of account also offers at-call functionality. Bonus interest is paid if customers achieve certain conditions (for example, a regular monthly deposit with no withdrawals). To be eligible the current total rate must be greater than 0.50% at $10,000. “The days of high interest rates for savers are well and truly gone – the challenge is staying ahead of inflation and reducing costs,” said Mr George.